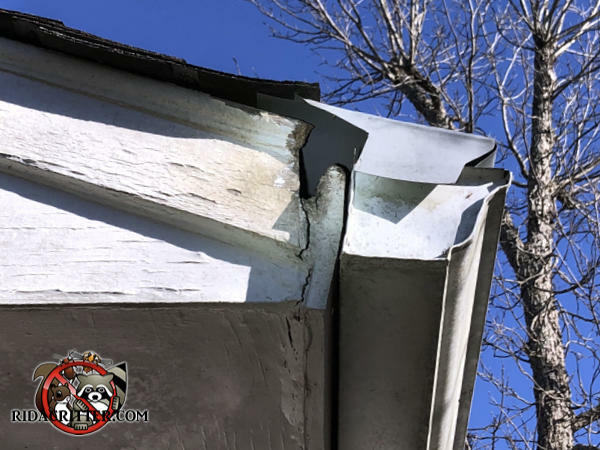 It looks like the fascia board was starting to come loose at the top, and the squirrels used that gap as a starting point to gnaw their way into the house from the side. They can be pretty resourceful when they want to be. To learn more about squirrel removal in the Athens area, please click here.